After the under 12s won 2 weeks ago it was the turn of our under 16 footballers in last Saturdays BGCGM football competition at Soccer City in Trafford Park. They won all their games and now qualify for the national finals next year. The team are pictured with Anthony Rice ( centre ) and Club leader Leon Warmington far right. 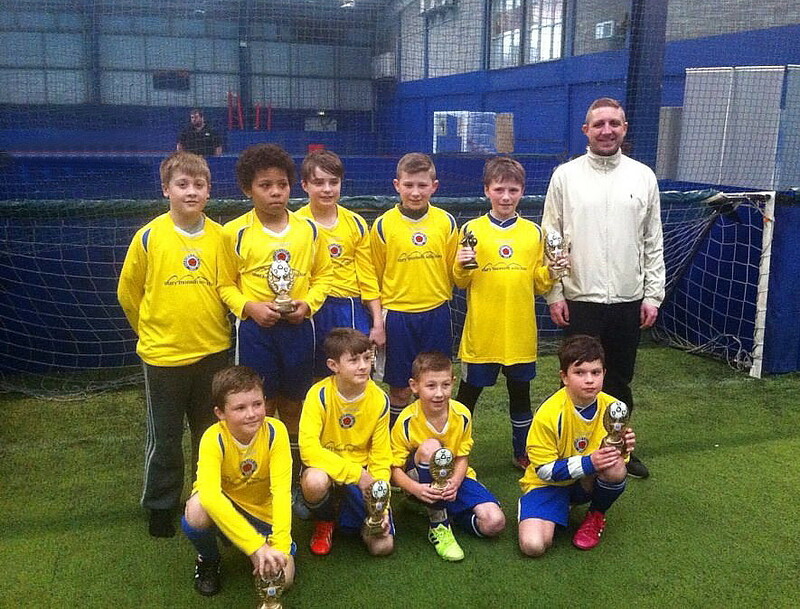 Our under 12 footballers ( pictured in Yellow Tops) won the Greater Manchester Boys & Girls Clubs final last Saturday beating West End Boys Club in the final. They now progress through to the North West Finals. 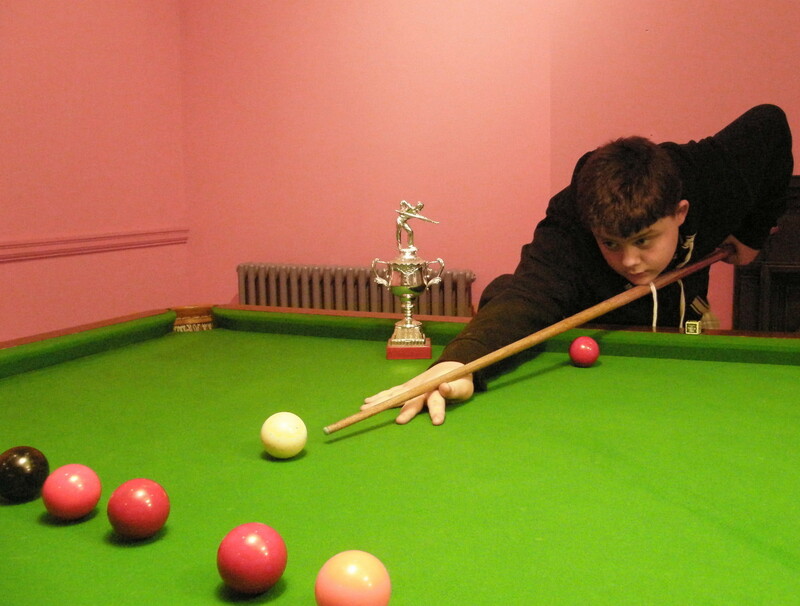 15 year old club member William Doyle won his 8th trophy last week: the under 16 snooker competition held at Stockport Lads Club, organised by the Boys & Girls Clubs of Greater Manchester. 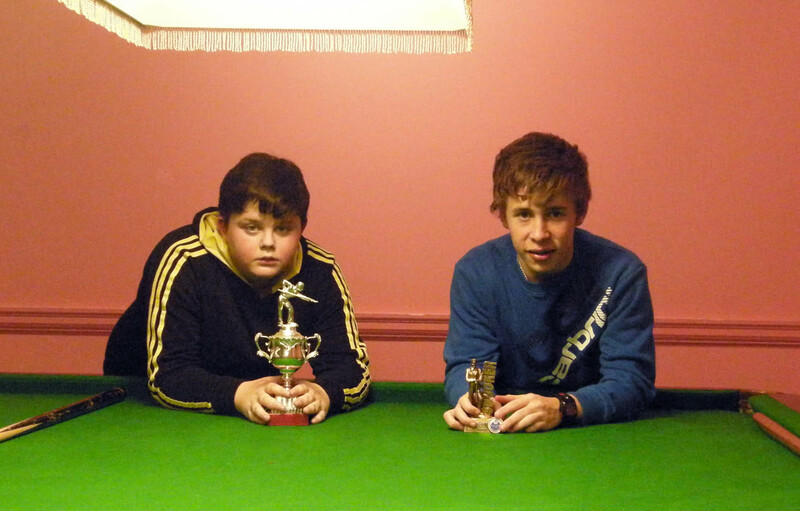 William has been competing for the club since the age of 10, winning 3 snooker and pool competitions at under 12 level, four at under 14 level and now the under 16 title. 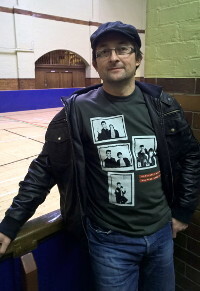 William has also won North West titles and reached the national semi-finals. The clubs under 12 footballers took part in the BGCGM 5 a side soccer Finals at the Trafford Soccerdome last Saturday and came out winners of the event. The squad coached by Anthony Rice now go forward to the North West Finals later this year. William Doyle (L) and Billy Quincey (R) took the under 14 Greater Manchester snooker titles at Stockport Lads Club last week . This was William’s seventh title in 3 years as winner of both snooker and pool events in greater Manchester and the North West . He reached the national semi finals 2 years ago. The event was organised by BGCGM.